California is in a state of hyped-up-super-bloom and everyone with a camera or iPhone is taking advantage of it. The rain, although it dragged on far to long for my taste, did our body good and bright florals are springing up everywhere. Many people are going gah-gah over the bright orange poppies, or the neon-highlighter-yellow mini flowers that spring up in every nook-and-cranny, but I’m really digging these beautiful blue/purple wild Lupine flowers! I’ve had a handful of sessions here just this week, with even more requests for next week. The problem is that us californians are so used to our crunchy-brown-sun-scorched-grass, that we can’t quite contain our excitement over these flowers. As such, many of the flowers are being picked and trampled on in search for the best photos. It really is sad, because I tell clients that I can’t guarantee the flowers will be there next week. That problem aside, it really is a beautiful planet that God created; so many colors, so many different types of flowers/plants/animals/people. I often sit in awe as I soak it all in. 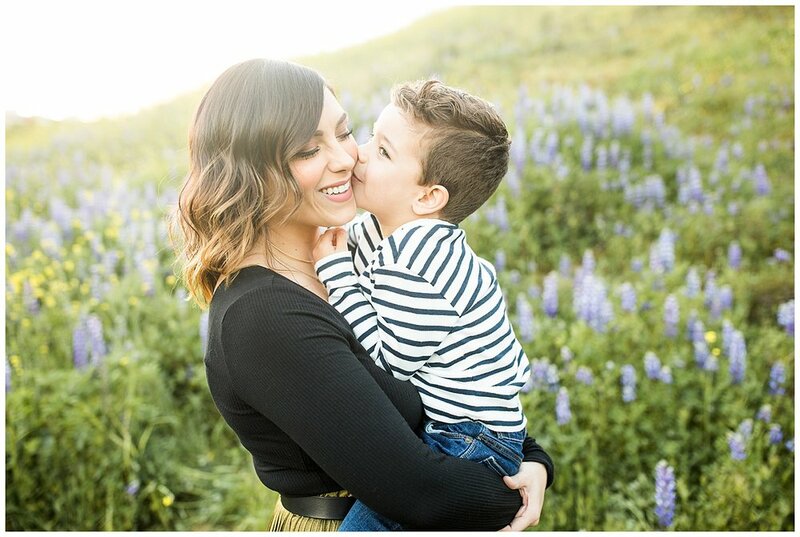 Here are some images from the family session I did in Chino Hills last week. Enjoy. Good bye 2016. Hello Beautiful 2017! Wow! I honestly can’t believe 2016 has come and gone and we are on the brink of a brand-new-year. I never realized how fast time went by until I had a kid…now I guess I can just see the days fly by as I watch him grow and change. It’s mind-blowing. I really wanted to thank all of you for being a huge part of my journey this year. It takes a lot to trust someone with those really special moments. Whether it was a newborn session where I captured the first tiny details of your new baby, an engagement session where I captured those deep-gut-I-love-you-butterflies, or a family session where I captured the people that matter most to you in this world, I’m so thankful you chose me. I look at photography as such a huge way to contribute to the world. Right now it may seem like I’m just taking a photo, and in a world obsessed with photos, it may not seem like it’s that big of a deal. But the moments I’m able to capture and the photos that you are investing your money in, are ones that are only going to grow more valuable with time. More valuable as your baby grows into a confident young adult. More valuable as loved ones pass away and you can no longer see their smile. More valuable as time and circumstances change what once was. I’m proud to say that no matter what I’m doing in life, my art will live on in your children’s yearbooks, in wedding slide-shows, tucked neatly inside wallets, proudly hanging on the walls of your home, and deeply treasured by all. It brings me great joy to know that however small my role may be, I was able to stand beside you, for just a moment, and capture what makes you uniquely you. First, as much as I absolutely adore newborn sessions, I’m no longer set up with the space needed to do these any longer. If you are already booked with me for a 2017 session, I am excited to snuggle your baby, but I will not be taking any more newborn sessions on. Who knows what God has planned; maybe a studio is in my future at some point and I’ll be able to put these back on my list of offerings. 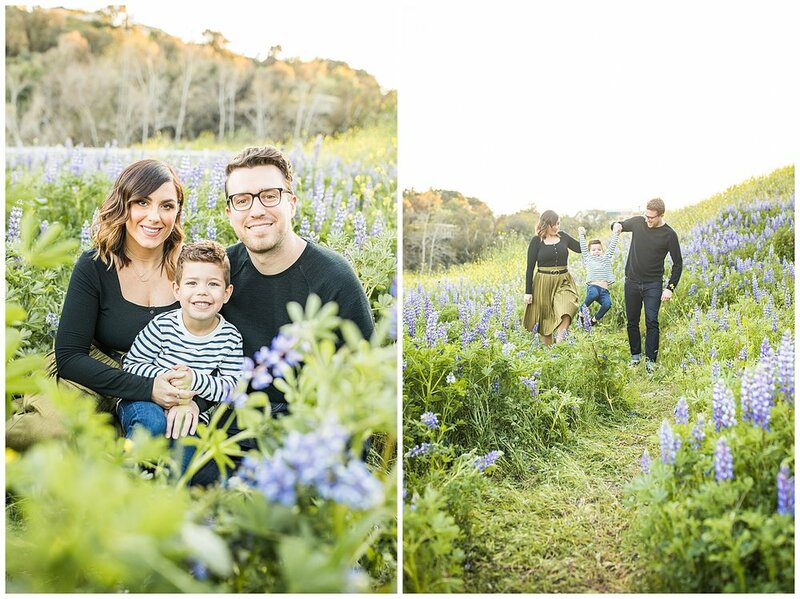 I think this change will free up a lot of time for me to focus on my family sessions, which is where I find the most satisfaction. Second, I need to change my pricing structure. This is hard for any small-business owner, mainly because you never feel good enough and you risk losing amazing clients. I am so grateful for all the clients that I have had over these past 2.5 years. Each and every one of you has helped me build an awesome portfolio, helped me work on technique and find my voice in this very saturated market; for that I will always be grateful. However, I’m now at the point where I have to be a smart business woman and I have to consider what I’m giving up (or who I’m giving up), each time I take on a new appointment. All the long hours I work must be worth it to my family, because after all, isn’t that the whole goal of a job? To provide a good life for your family? And how wonderful is it when you LOVE what you do? It’s for those reasons that I have decided to raise my prices effective 1/1/17. Some clients are with me because of my current price point, and hey, I totally understand that. I will not be offended if I can no longer be your go-to photographer; you have to do what’s best for you and your family. Believe me when I say that I will miss each and every smiling face who goes elsewhere. For those clients that are with me because they love my work, they love my heart and they love the experience that I offer, I cant wait to see you this year! I honestly want to be YOUR FAMILY PHOTOGRAPHER! The photographer you go to for all your big moments, and even your small ones. I want to foster a relationship that allows me to watch your kids grow, allowing them to trust me and laugh with me. I want to be cracking jokes with your husband, allowing him to get to know me so he’s not absolutely dreading family photos every year. I want to be the photographer that you can text with different outfit choices and let me be the tie breaker. I want to be the photographer that knows your family so well, that I can capture the REAL love and not just the posed smiles. My goal for 2017 is to foster stronger relationships and build my business around truly loving people wherever they are at in life. This is my truth and this is my passion and I desperately needed to share this revelation with you. With a lot of prayer, 2016 opened my eyes, taught me some lessons and gave me the strength needed to step out in faith and give it my all. I pray that you will join me in this upcoming year. I look forward to all the wonderfulness that’s in store for your family and hope that I can be the one documenting it for you.